This summer, we’re having a stay-cation for our summer. Since I’ve been in New York City all my life, I figured now it’s the time to check out all the favorite places that I love, and even venture to some places that I have never been before! I would love to travel to other places, but sometimes we just have to make due with what we have! 🙂 While entertaining ourselves and our kids, I always remind myself that it doesn’t have to be expensive, or far away, just the experience with the family is what they will remember. 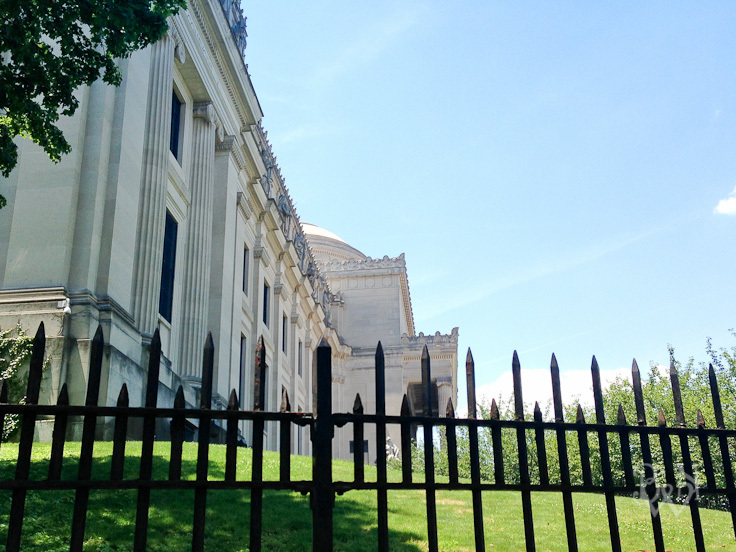 This time, we went to the Brooklyn Museum in Brooklyn! I have to admit, I’m a sucker for museums! I just love the history, and I love looking back at how Brooklyn used to look through the paintings! One of my favorite sights is to come upon the building and just let it unfold before our eyes. Now this gem of a tree is found on the 5th floor of the museum. 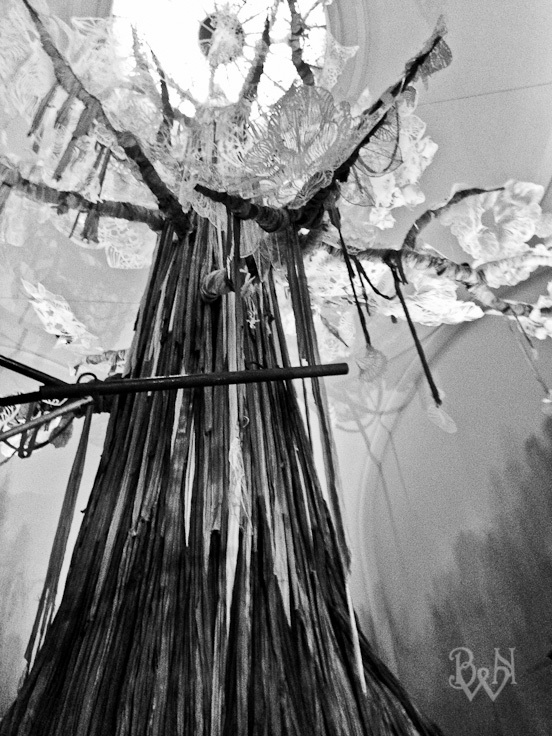 It’s part of an exhibition from Swoon (a Brooklyn artist). My favorite part about this place is walking into the houses (yes, real old houses!) and seeing how people of different classes lived. They have the old bedding, dresses, furniture, and other things (in place) so we can see their lifestyle. That was always my favorite part of the museum (since I was little), and I’m so glad that we were able to share it with Zee and LittleZ! She loved that part too! 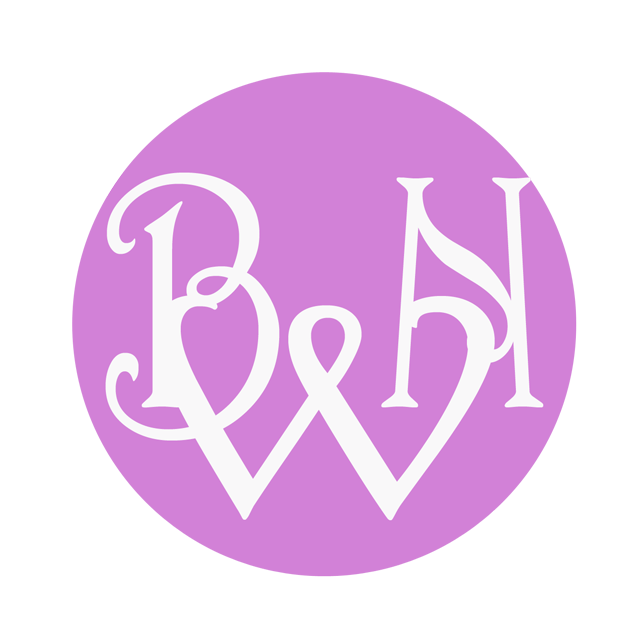 For those of you who would love to browse to see what this museum has, you can check out their website here. Those of you that live in NYC and who haven’t been here in a while, I say “What are you waiting for? !” The kids will find this entertaining and interesting at the same time. What do you like to do for a stay cation? Do you and your family have some place fun to go? 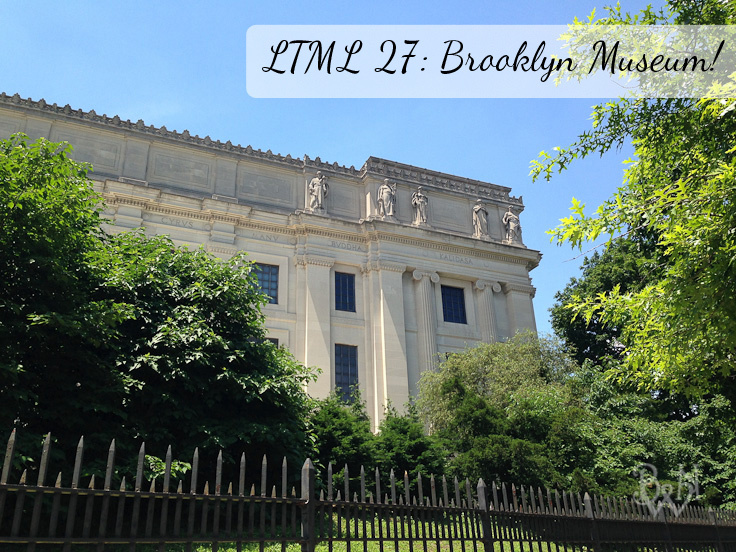 14 Comments on "LTML 27: A Tree In Brooklyn"
I love staycations I did one with my kids this year where we go somewhere new once a week right around town we even traveled 2 hours out of town to visit a museum and had a blast. Beautiful pictures. Reminds me of one of the reasons I love NY. The architecture is amazing! For a staycation, we like to hit up any of the piers. They are full of stuff to do. Gondola rides, harbor cruises, arcades… anything! Thank you Cam! Yes, the architecture is amazing in NYC, the history is so vast too! I love museums. I think it has to do with growing up in DC and always having access to them. I need to come to Brooklyn and go to this one. The Egyptian mummies….. I loved the museums in DC. Mr. C planned a trip for us before Zee was born, and he said it was the worst vacation for him, but he’s glad that he did it cause I enjoyed it so much! I used to wake us up at 6am to see the monuments, then walk over the museums and spend the afternoon there (morning sickness and all). hahaha the good ol’ days. What a beautiful museum! I would love the house(s) displays as well. I’m a total sucker for stuff like that. I live in STL so there is plenty to do if I really want to. I can honesty say, that has been my favorite part the the museum for YEARS! I love looking at old houses, and enjoying how people lived. It’s a way to appreciate what we have now, and not to be greedy for what we don’t have. People have gone far with very little. staycations. 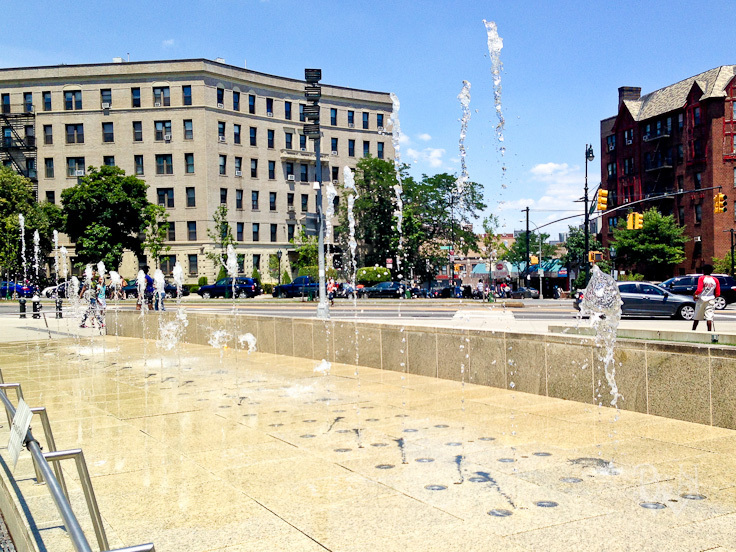 During the summer, I like to go to prospect park and Brooklyn Bridge Park. I also love going to dumbo and going to the Brooklyn Ice Cream factory and watching the sunset. Thank you Brittnei! Yup, they have houses and it’s furnished too! I just love that part of the museum. I can spend all day on that floor! Thank you Theodora! NYC has so much to offer, and I’m sure there has been tons that I have not seen yet.